Apologies in advance for the crappy photography but I had to share this with you anyway! 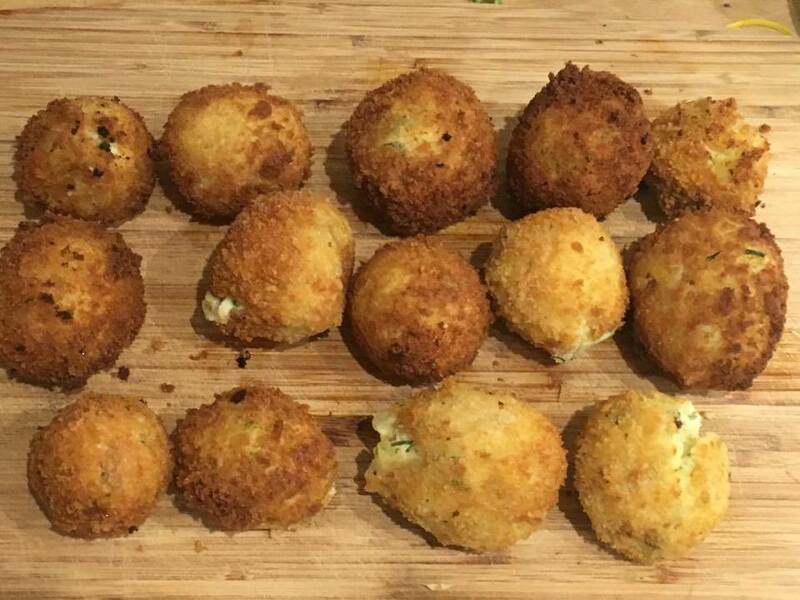 The other day I was wondering what to do with my leftover mashed potato and so I thought I would try a little experiment… I mixed in some Boursin cream cheese with the mash and some fresh chives, then rolled the mixture into little balls and coated them in breadcrumbs, then deep fried them. They were heaven. 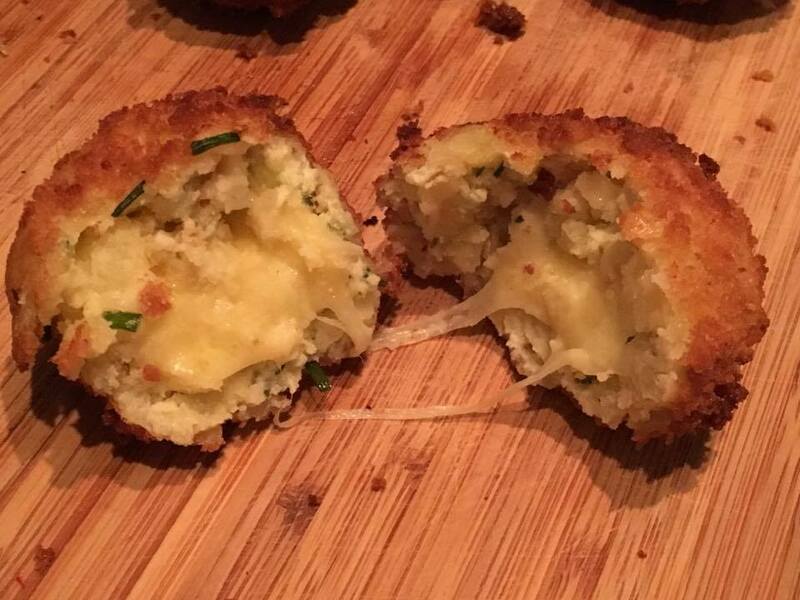 Then I tried it again but pushing a little mozzarella ball into each ball of mashed potato, and then deep frying it, and they were even better! All warm and gooey and cheesy. 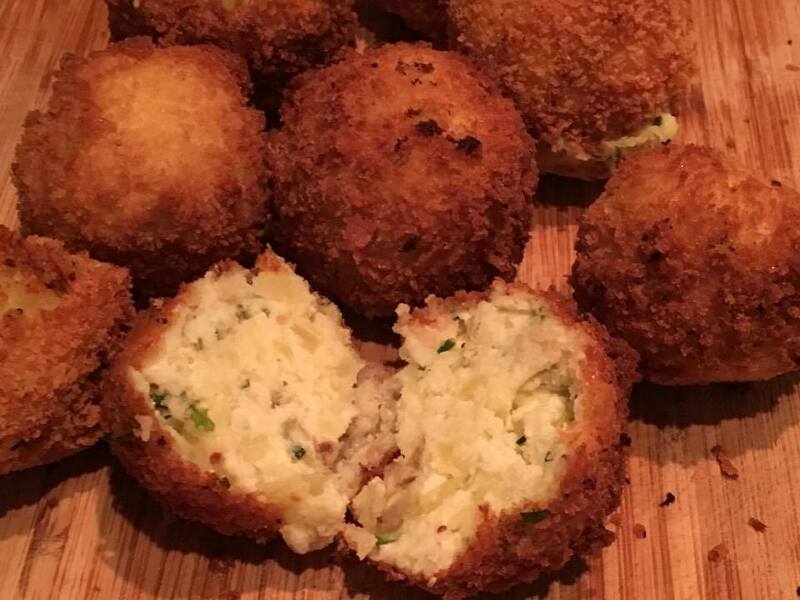 It’s not quite a starter or a side dish, but could be quite a fun party snack or canape! I’m definitely trying this again (and next time, I’ll take better photos)! 1. 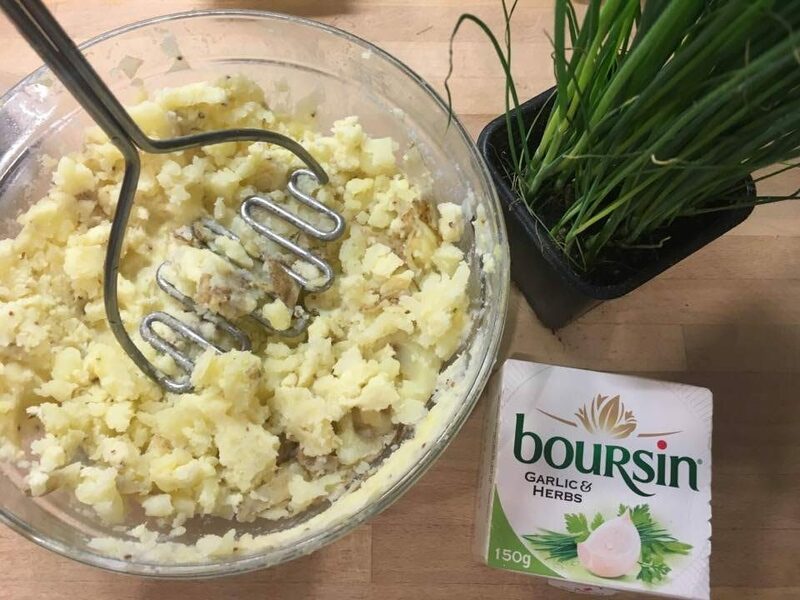 Mix a whole pack of Boursin or similar cream cheese in with the mashed potato, and add some snipped chives, salt and pepper. 2. 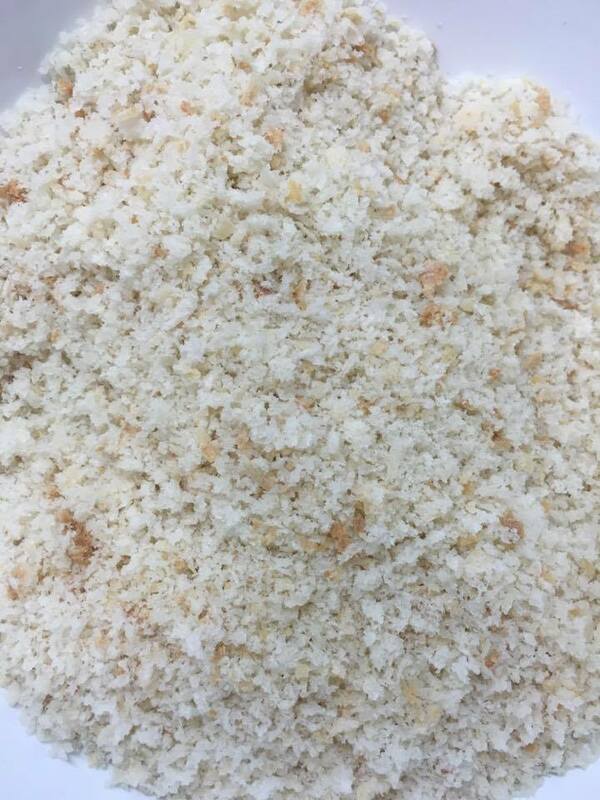 Blitz some bread (stale, if you have some) in a food processor until you’re left with a bowl of breadcrumbs. 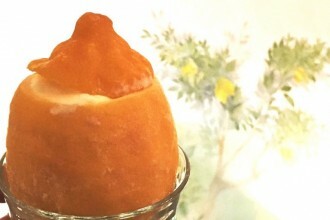 In a separate bowl beat an egg, and in a third bowl put a handful of flour. 3. 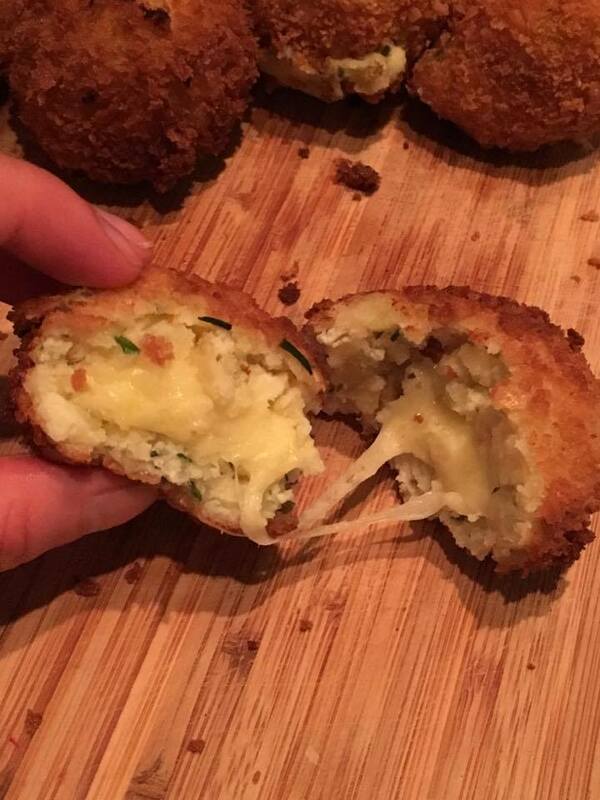 Take a mini mozzarella and wrap a handful of mashed potato around it, completely engulfing the mozzarella. 4. 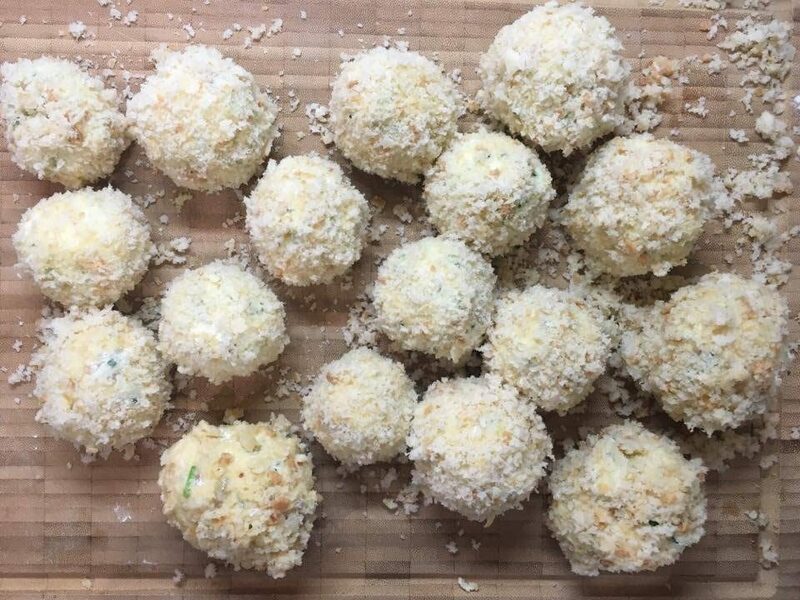 Roll the ball in some flour, then roll it in the egg, then roll it around in the bowl of breadcrumbs until it’s completely covered in breadcrumbs. 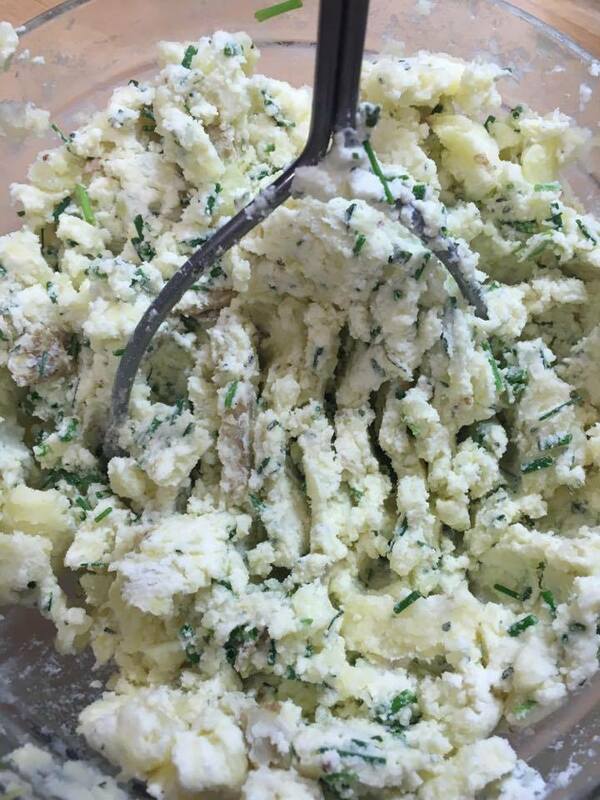 Repeat until you run out of mashed potato! 5. Fill a small saucepan with vegetable or sunflower oil, around 5cm deep, and heat to boiling point. Meanwhile, pre-heat the oven to 180C. 6. 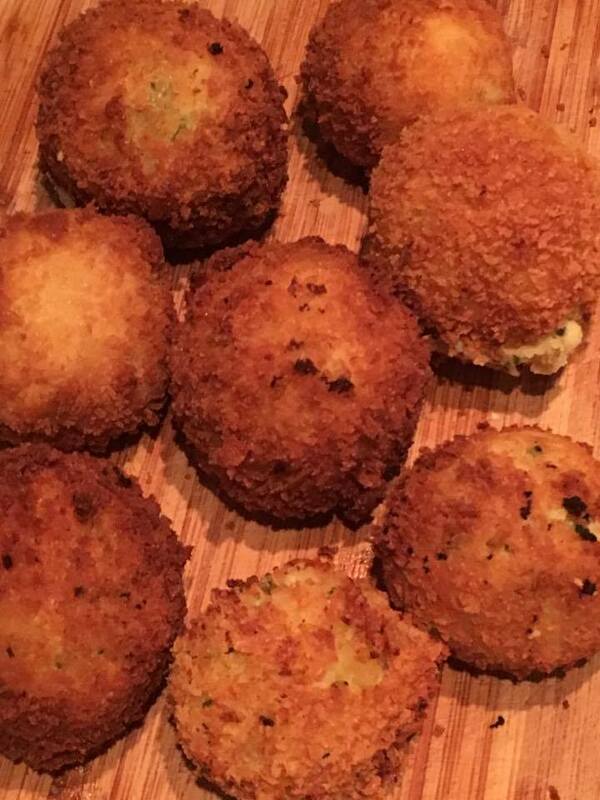 Place a couple of mashed potato balls into the hot oil and move them around until they are golden brown in colour, then scoop them out and place them in the hot oven. Repeat until all the balls are crispy and golden on the outside, and sitting in the hot oven (where the inside has more time to melt). 7. 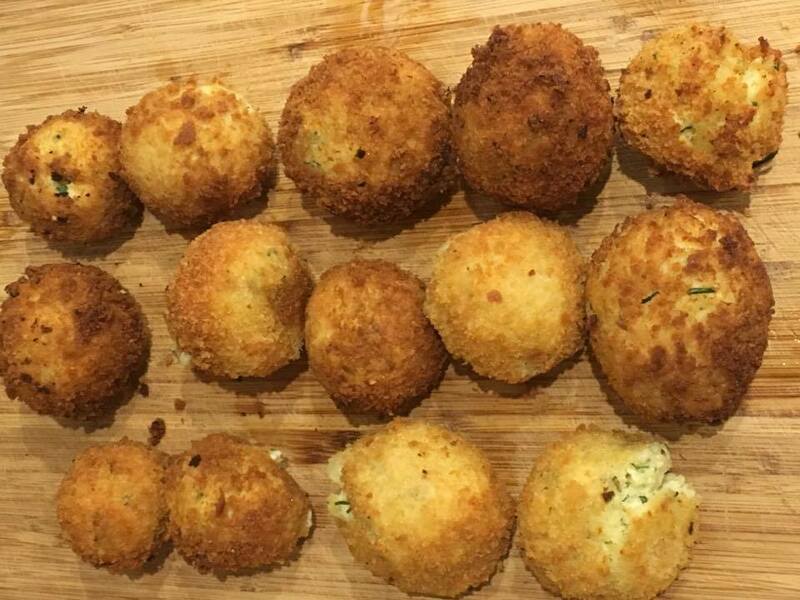 Remove all the mashed potato balls from the oven and serve with a sour cream and chive dip, creme fraiche, sweet chilli, or any other dip you like!